The AIA Guide to New York City (5th Ed. 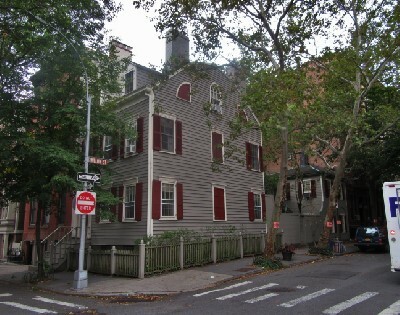 2010) calls 29 Middagh Street (corner of Willow) [t]he queen of Brooklyn Heights houses: a wood-painted, gambrel-roofed Federal house with a garden cottage connected by a garden wall. According to Curbed, it can be yours for a cool $7 million. Photo: C. Scales for BHB.